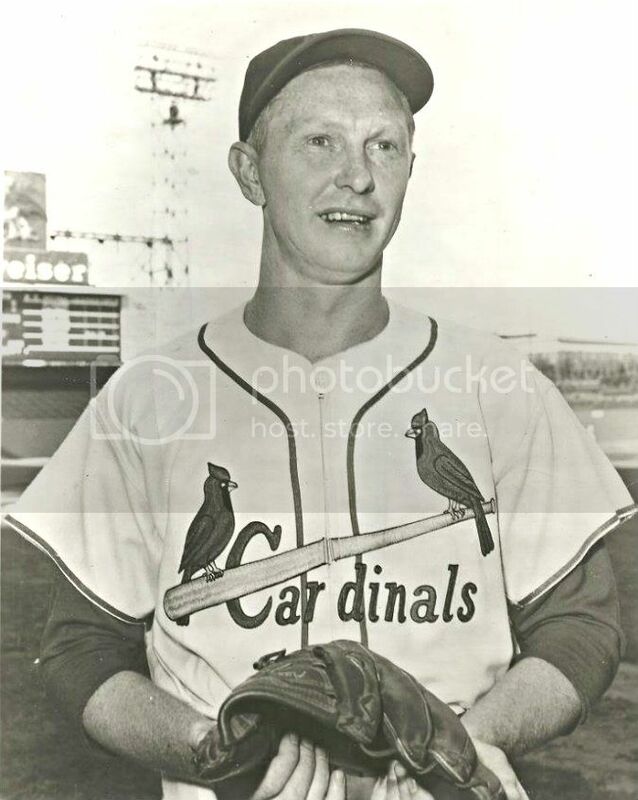 Red Schoendienst on his 1957 Topps card. easy to see his Rawlings and the V-anchored web. 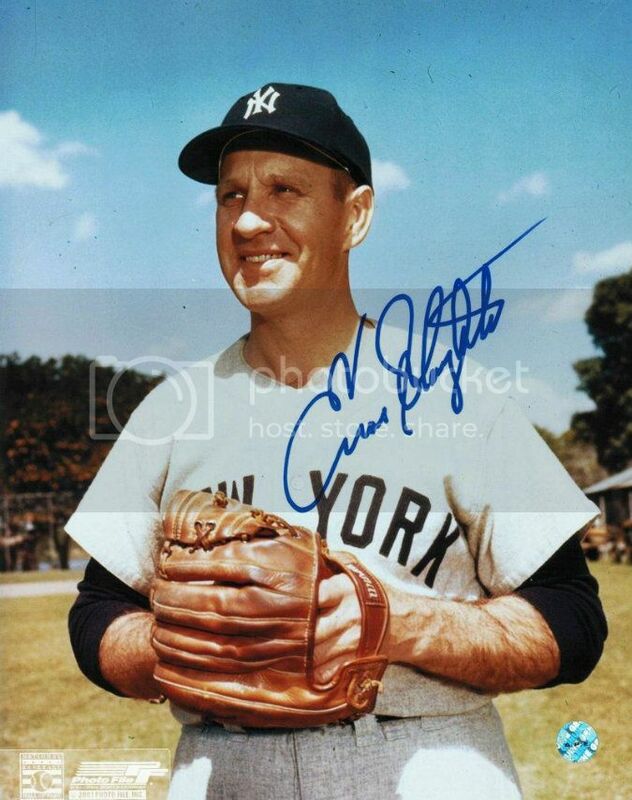 He became a major endorser with MacGregor in the later 1950's. 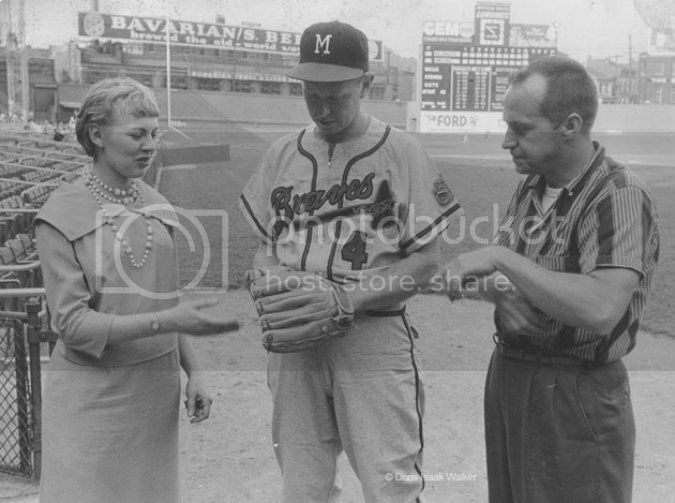 Picture below shows him with executives as he tries out a new model MacGregor glove. Not sure if he ever used MacGregor as a gamer glove. Last edited by mikesglove on October 12th, 2012, 2:20 am, edited 2 times in total. 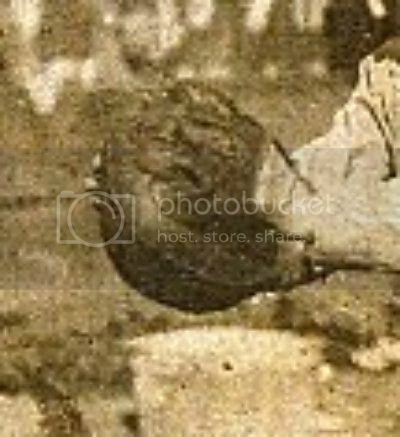 I didn't even notice that detail in the Slaughter photo because he was kind enough to at least keep all his fingers inside the glove. For some reason this seems much more common among modern players, and it's easily a top two pet peeve of watching baseball in hi-def. Jon Lester does that and it annoys me to the point that I can't watch him pitch on tv (among other issues). Most annoyingly, his index finger is outside the glove so it looks like he's flipping everyone the bird. 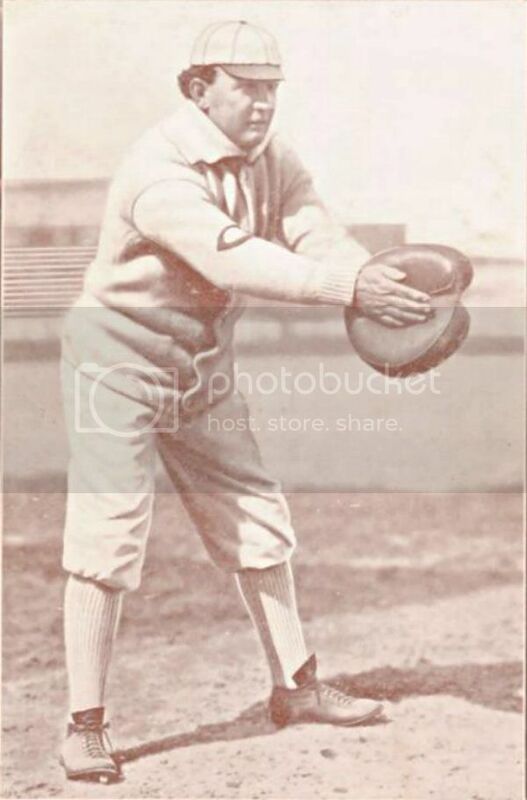 In his early years on the Sox the design of his Nike glove accentuated it. Drives me nuts. Right up there with watching Matt Garza spit every 4 seconds. 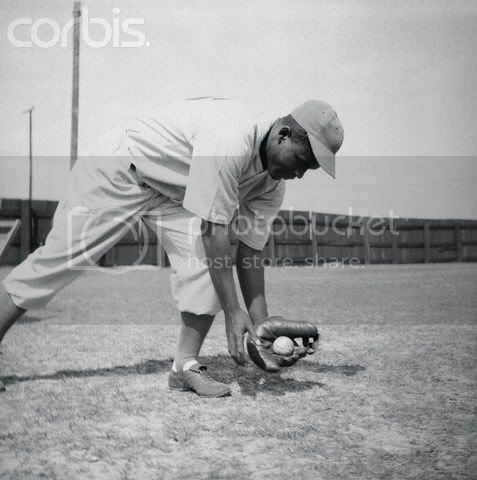 began doing this in the 1940s and '50s and eventually led to Rawlings developing the Holdster single finger control (and don't forget Nocona's "FingerLok" outside finger loops. I believe it was a control issue for the players doing this. Gus Niarhos (sp?) 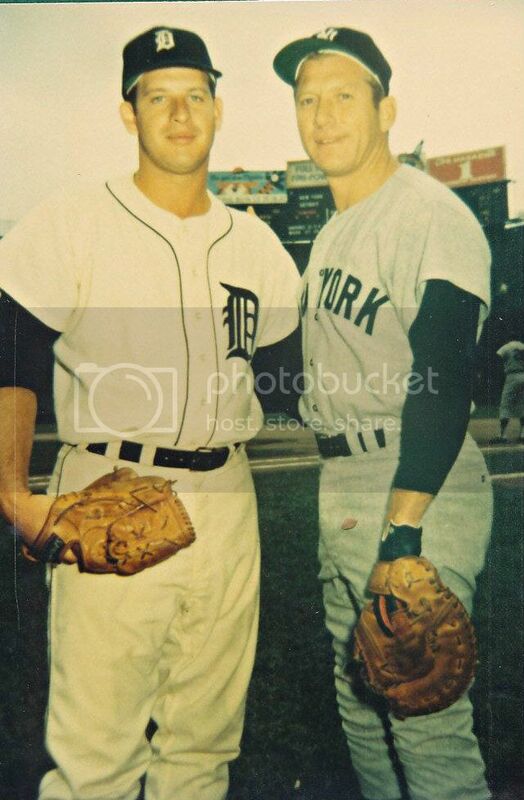 seemed to have gotten credit for "first catcher to keep his finger outside his catchers mitt." I do find an occasional old glove where it looks like the area above the forefinger shows signs of wear and sweat above the forefinger area. 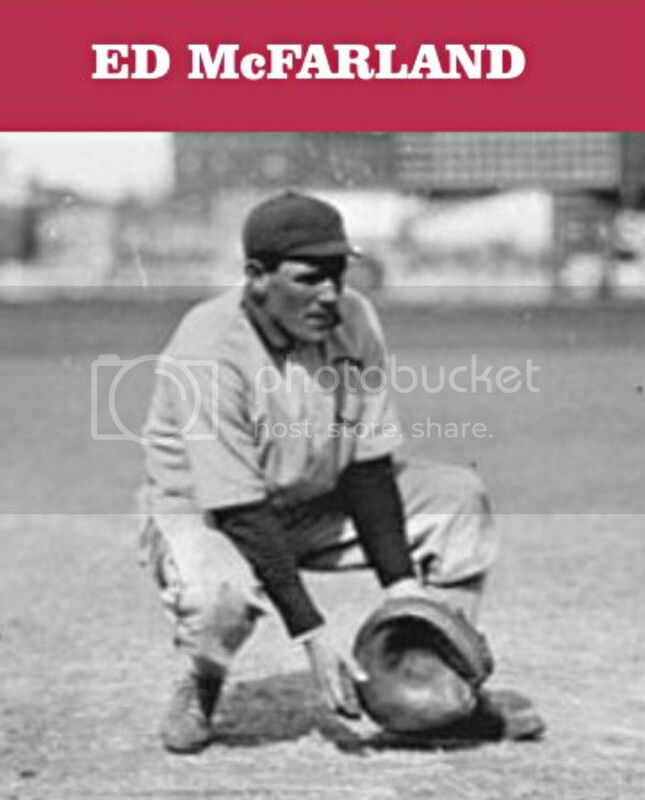 i came across this interesting website http://www.baseballcatchers.com/ There is a listing of catchers from 1900-2010 and a ranking of the top 25 per decade. 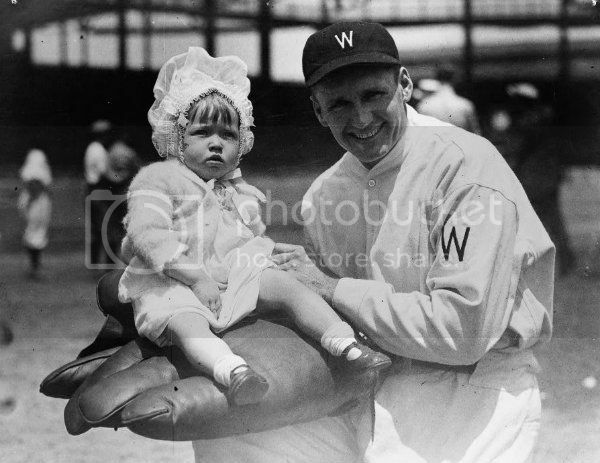 i looked up some of the names and found a few nice photos. 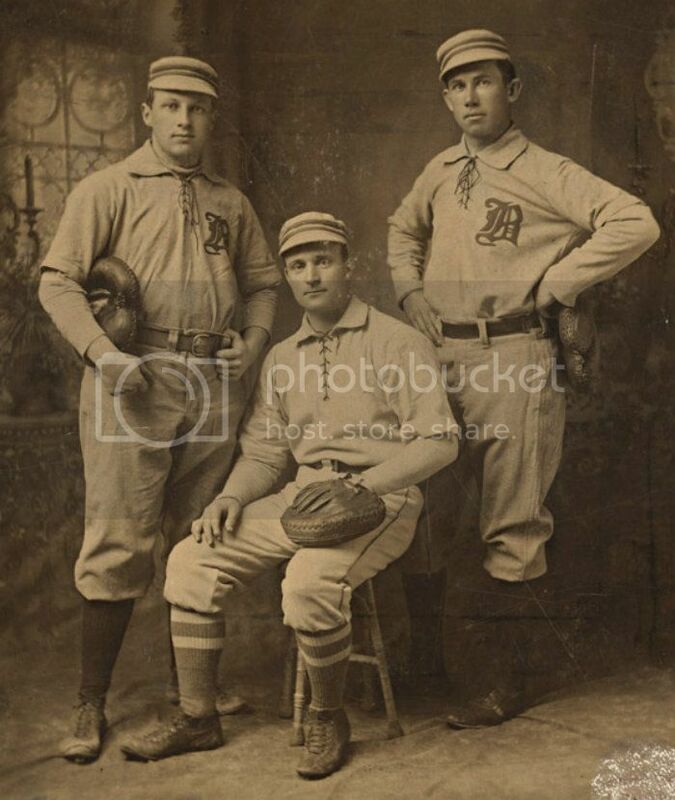 This group is circa 1890-1910. 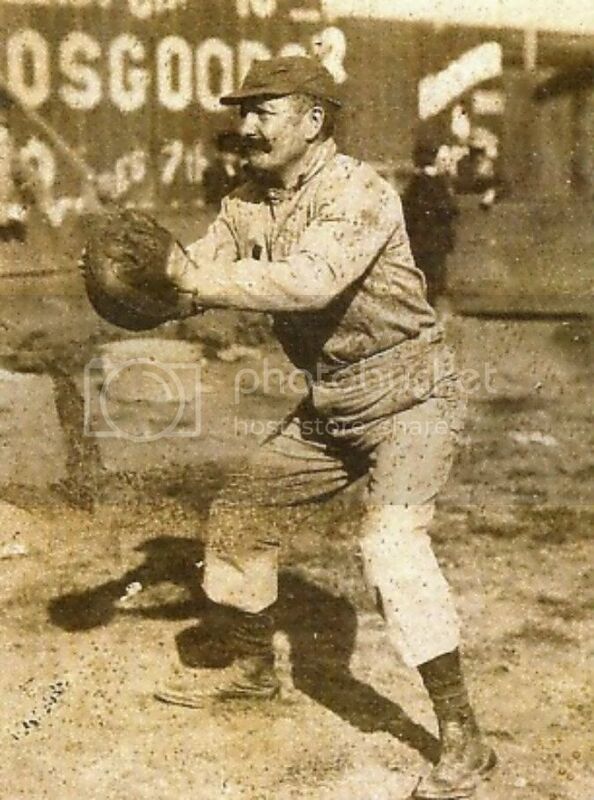 Mike Finn of the California League circa 1895 (later became the Pacific Coast League). Nice pillow mitt with hook and grommet tied wrist strap. Fred Brown, Pat Moran and Malachai Kittridge of the Boston Nationals. Mitt on the left is well used with a hole in the pocket. Maybe intentional by the player. Pat Moran's mitt is a super-sized model and also with the hook and grommet tied wrist strap. 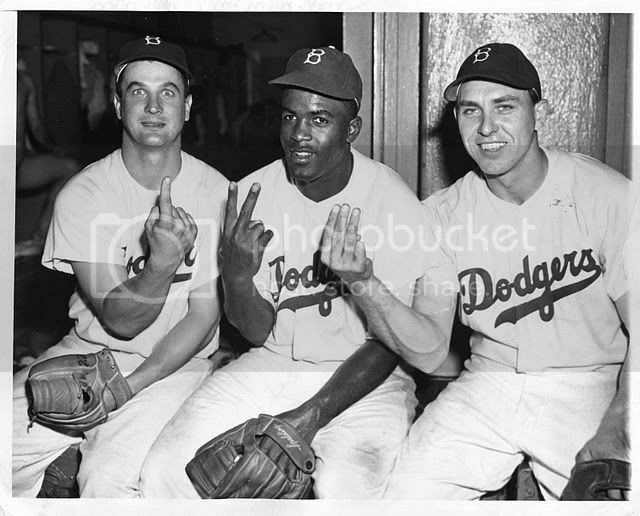 Here's Johnny boy with his finger. 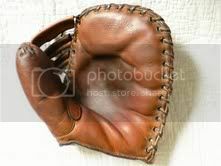 I used to do this when I played catch with a hard thrower especially when the weather started to get cold. 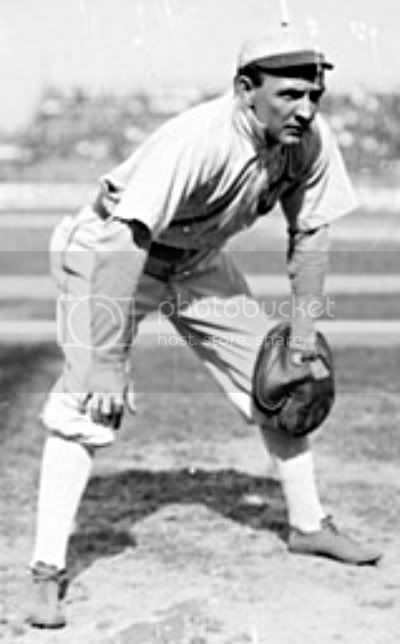 mikesglove wrote: Catcher Billy Sullivan of the White Sox circa 1905-10. He may be using a Victor mitt. 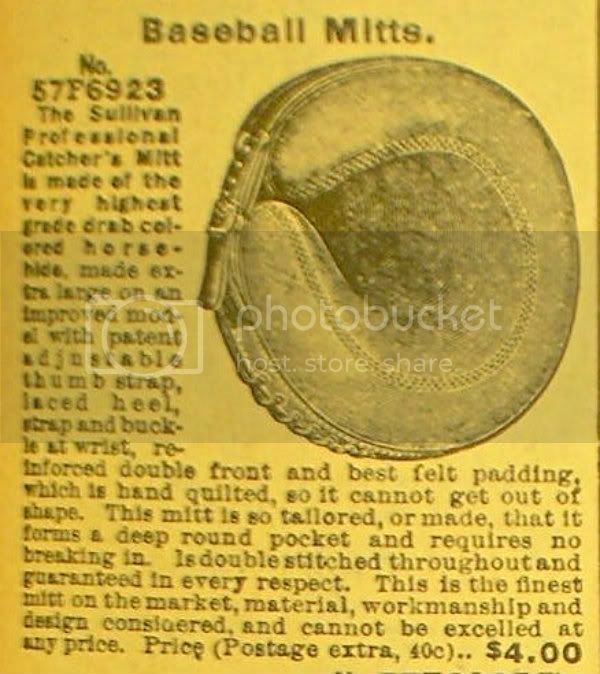 Victor Sporting Goods offered a "Sullivan" Professional Model mitt sold through Sears & Roebuck in 1906. 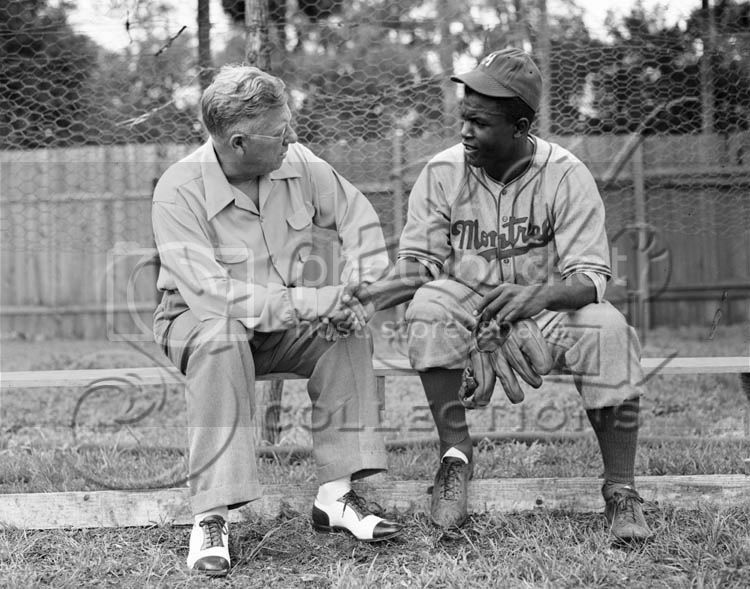 I can make out the Victor patent heel lacing but the web is obscured in the photo of Sullivan. 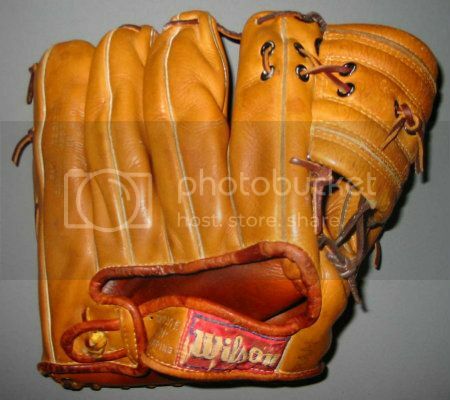 Here's one of my favorite glove photos. 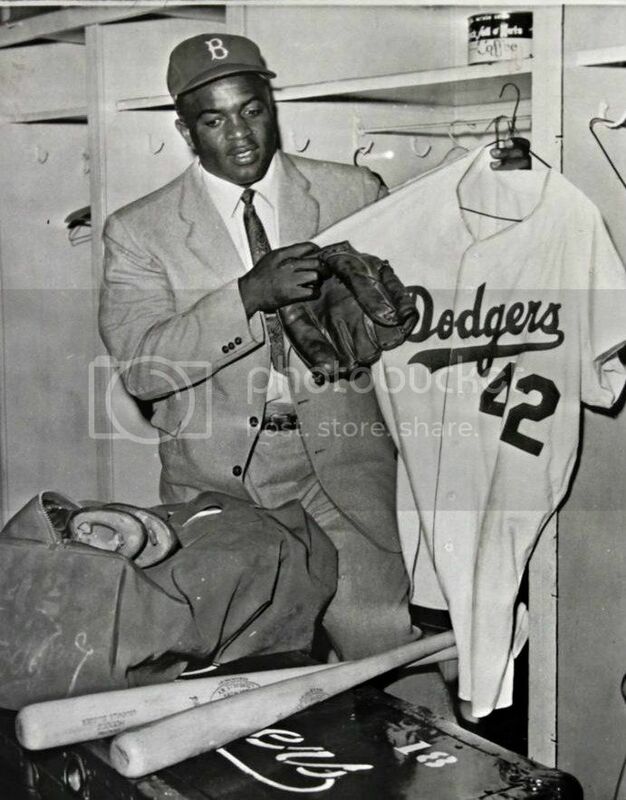 1956 photo of Jackie Robinson in the clubhouse with his Rawlings glove and other gear. Circa 1887. 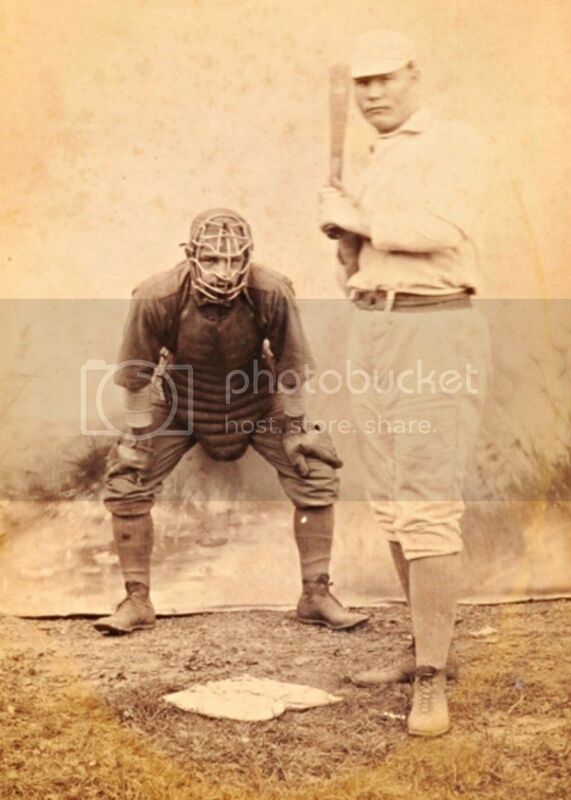 Interesting that on both gloves the catchers wrist strap seem to wrap around the wrist on the forearm like some of the old William Read & Sons mitts. 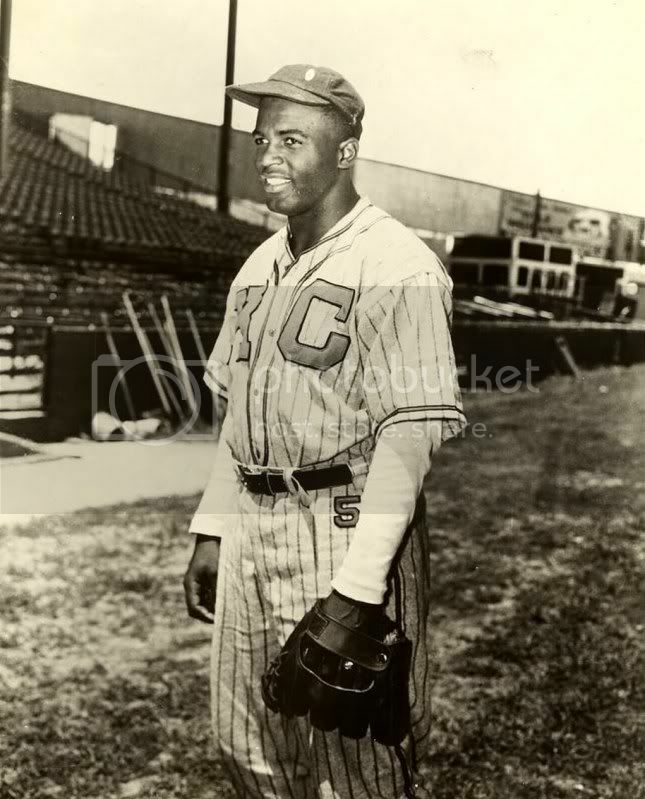 A few more photos of one of my all time favorite players, Jackie Robinson. 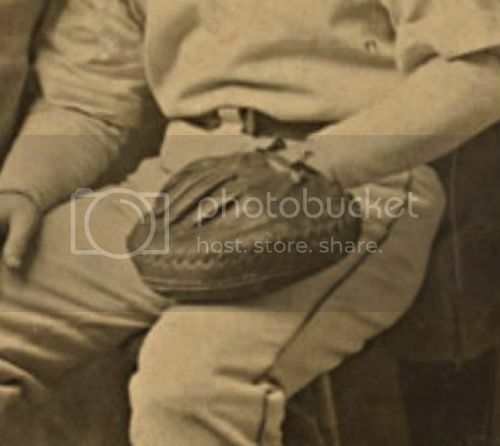 Appears that he liked both Rawlings and Spalding gloves, although Wilson and Spalding made a Seamless Thumb model like the one he has in the picture below. 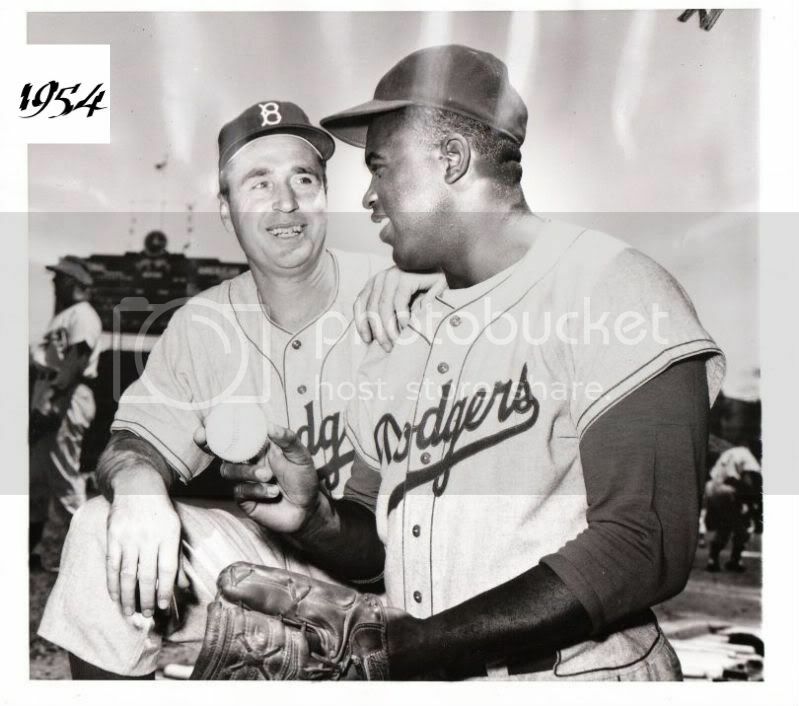 With Gene Hermanski and Gil Hodges after turning a triple play in 1949. 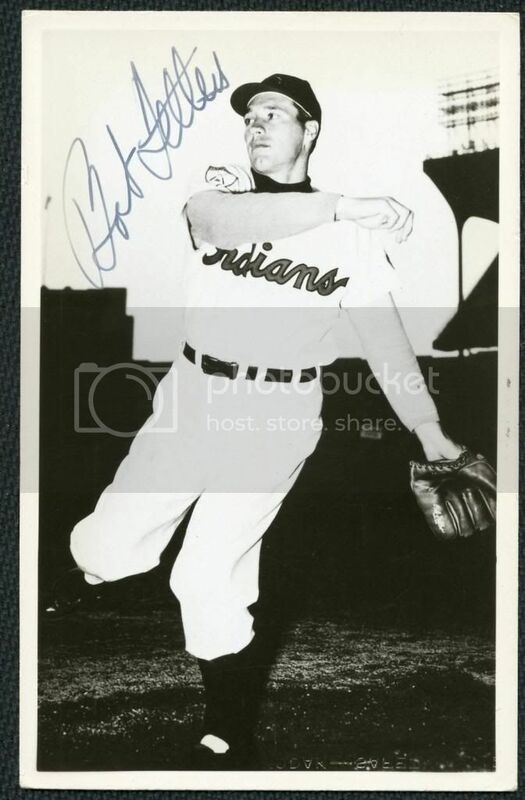 Bob Feller and his Wilson glove from 1953. A couple more spitballers. 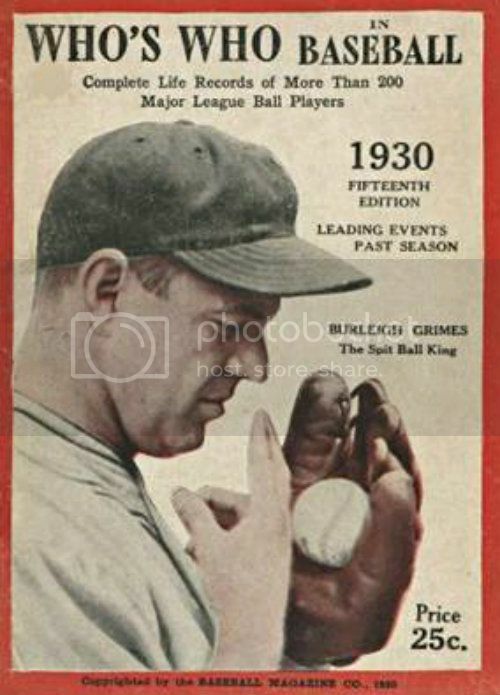 Burleight Grimes looks to be using a Rawlings "Doak" model. 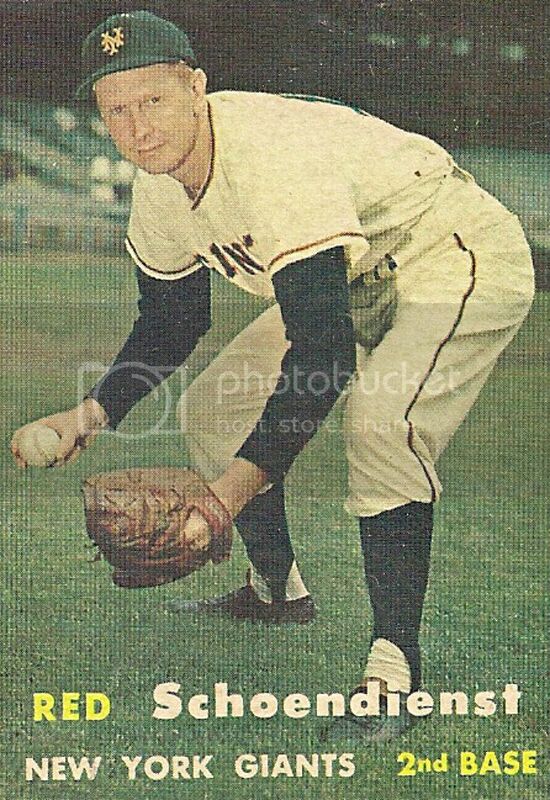 Red Faber looks to be using a Wilson extended palm model with the stubby first and second fingers. 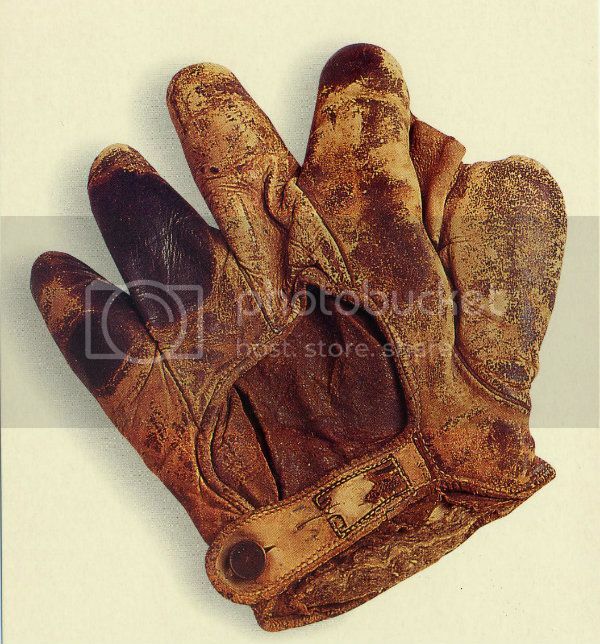 It's a coincidence that I was looking through some old Ty Cobb photos a couple of days ago and found this purported circa 1913 gamer glove. 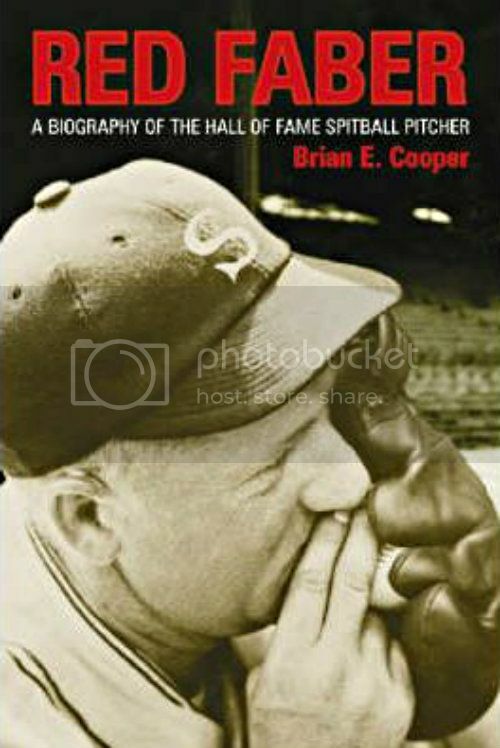 The photo was from a 1996 book produced by the HOF. The glove is interesting in that the first finger stall has no cross seam but runs all the way to the wrist. That feature plus what I could make out from the cloth patch remnant seems to indicate a Wright & Ditson model.